I have been really inspired by nature and outdoor elements lately (see coral inspired bangles here). Plus, I have this GIANT box of pointy seashells (is there a name for these?) that is just taking up space. This might be one of the easiest DIYs ever...but sometimes the easy ones (see this basic polymer clay bead tutorial here) turn out to be some of my most favorite. A seashell. You can buy them at Hobby Lobby if you don't have an extra one hanging around. 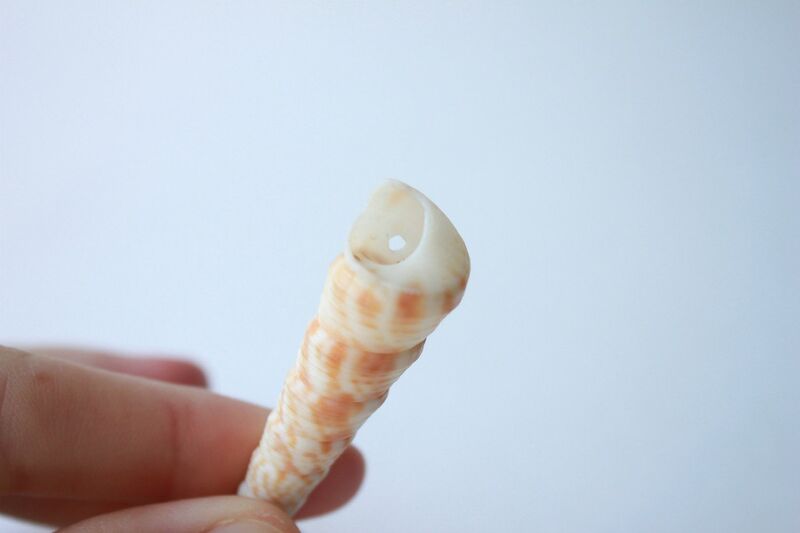 Drill a small hole in the top of your shell. 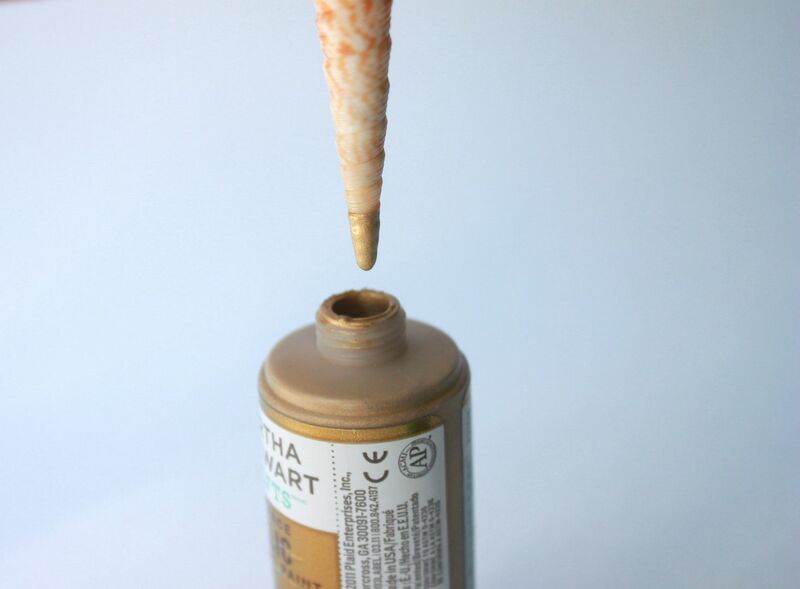 Dip the end of your seashell into the paint. Let it dry. Once the gold paint has dried, you are finished! Cute! I have a box of shells too and I am not sure what to do with them! I think they just call them cone shells Lindsay but what a lovely way to wear them. So pretty! I love paint! i agree! easy, simple & beautiful, with a small touch of gold! How unique! I would have never thought of this and yet even though it is simple it is so pretty with the touch of gold. 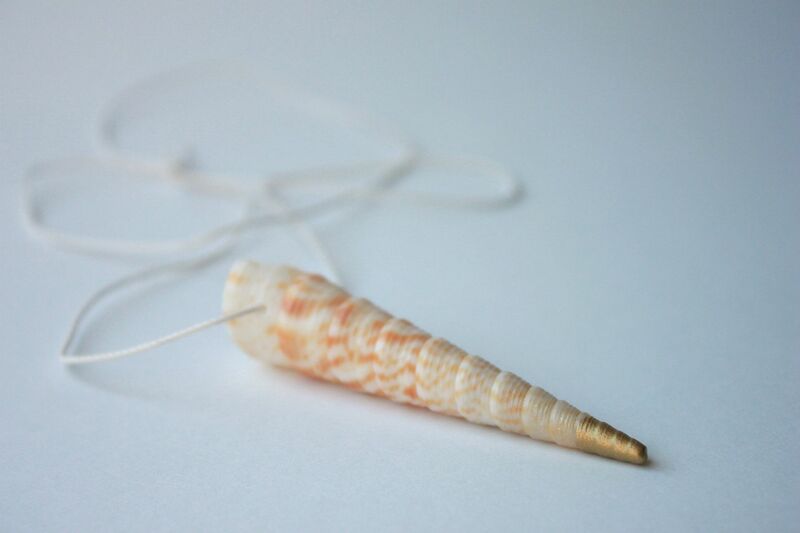 So pretty,love it, I just bought a gold dipped seashell necklace! Perfect! I have all of these things! Ah love how easy it is! So simple - and so pretty! This is awesome! I love the touch of gold! Just stumbled on your blog and LOVE IT!!! You have some of the coolest ideas! Im trying your DIY Polymer clay bead necklace tomorrow, hope it turns out as cute as yours!! This is so cute though too, i live at the beach and love this idea...keep them coming!!! Everything is better with a touch of gold :-) Love this! I love that gold tip! You are always coming up with another great DIY! very simple but so beautiful!! !thank you!! 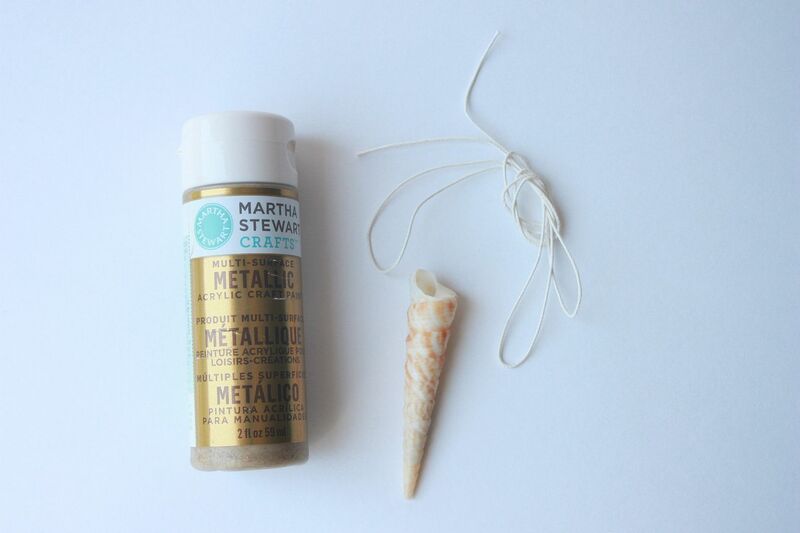 my kids just emptied a jar of shells lately and we have several of these pointy ones - great idea!! Beautiful and simple. I looove it! Just wanted to let you know I made your low carb gluten free choc chip muffins just now and they are SO delicious! My husband are enjoying one (or two) with a coffee right now. THANKS for the recipe!